Kate Brislin has brought a fresh outlook to the old-time string band tradition. 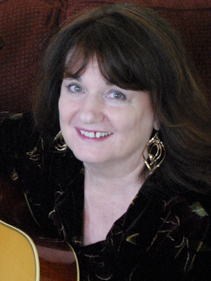 A member of the four-woman group the Any Old Time String Band in the 1970s and the Blue Flame String Band in the early '80s, Brislin has continued to record and perform with her husband Jody Stecher. Performing as a duo since 1985, Brislin and Stecher have recorded four albums — A Song That Will Linger in 1989, Blue Lightning in 1991, the Grammy nominated Heart Songs: Old Time Country Songs of Utah Phillips in 1993, Songs of the Carter Family in 2001. Brislin also performs with Barbara Mendelsohn and Piper Heisig in the 1950s doo wop-style group the Chanterelles. Brislin, Stecher, and Mendelsohn, along with Mendelsohn's uilleann pipe, fiddle, and mandolin playing husband Kevin Carr, occasionally perform at dances in the Bay Area. Brislin has been drawn to bluegrass and string band music from earliest memory. Studying the piano from the age of five, she switched to stringed instruments after receiving a ukulele from her father. Initially influenced by the bluegrass music of Flatt & Scruggs, the Stanley Brothers, and the Louvin Brothers, she performed Everly Brothers-like duets with her older sister. Teaching herself to play clawhammer banjo, Brislin performed with a series of old-time string bands. As a member of the all-female Any Old Time String Band, she recorded two albums and performed every Saturday night at Paul's Saloon in San Francisco. Although they knew each other for several years, Brislin and Stecher didn't begin their collaboration until 1985. Two weeks after the release of their debut album, A Song That Will Linger, in 1989, they performed a highly visible showcase at the International Bluegrass Music Association (IBMA) convention in Owensboro, KY.